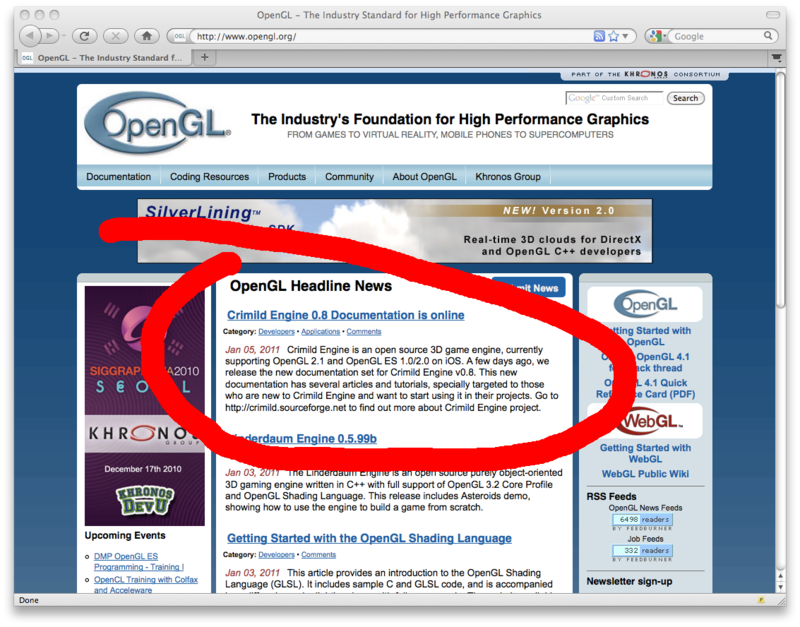 Thanks to the OpenGL.org team to make this possible. For those of you who don’t want to use SVN, you can download a ZIP file from the Downloads page. The documentation is far from complete, but it’s a start. I wanted to have something that, even when it’s brief, at least will serve to newcomers to understand what is Crimild and how to work with it in whatever environment they choose. If you find any issue with the documentation (and rest assure that you will), please feel free to submit support tickets (see Contribute page in the header menu).